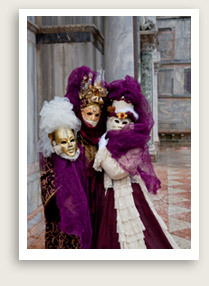 Includes: Services of your private, licensed Venice tour guide. Not Included: Entrance tickets to sites you decide to visit. This invigorating private walking tour in Venice will take you through Dorsoduro, on the south side of Venice. There are many possible walks in this area, all including historically important places as well as more contemporary sights. The usual tour starts from the Santa Margherita campo (square), one of the liveliest areas in Venice, as it is near the University. From here you will walk to the Church of San Sebastiano, where Paolo Veronese painted some of his finest masterpieces. Then you will continue through calli and campielli (narrow streets) to reach the shipyard of San Trovaso, where the famous gondolas of Venice are made. From here youwill go to the Zattere, where the tour ends with the visit to the church of the Gesuati, frescoed by Giambattista Tiepolo. 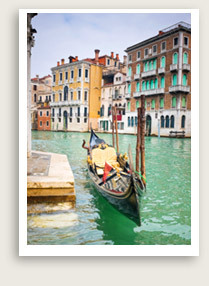 Note that you can also have your private guide take you along the inner canals of the Dorsoduro to the Baroque Church of Maria della Salute, or you can stop for a visit to the Peggy Guggenheim Modern Art Collection, housed in her mansion complete with a sculpture garden and terrace facing the grand canal.